Speed up complex analysis processes so you can focus on more productive pursuits with our Audimated Apps. These predefined routines, written with specific analysis objectives, replace time-consuming manual processes. 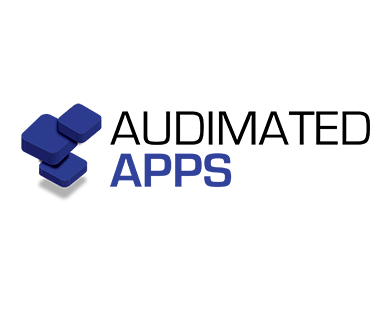 See What the Audimated Apps Can Do For You! Cross-matching addresses can be tricky because of variations in spelling and punctuation. A better way to search for duplicates or fraud is to look at just the numbers – specifically the street address and first 5 digits of the zip code. The Address XChecker App allows you to easily perform a “fuzzy match” by cross-matching employee and vendor files. With just a few clicks, it’s proven successful in finding true matches that normally haven’t been found. Forget the tedious process of exporting IDEA databases one at a time into Excel. This App easily exports multiple IDEA databases into separate worksheets in Excel and automatically names each sheet based on the IDEA database name. Export one, all, or any combination of IDEA databases in the IDEA Project folder to a new or existing Excel file without copy-and-paste steps. This App can also export databases contained in subfolders of the IDEA Project folder. Key word searches are highly effective in finding purchasing card, travel and entertainment (T&E) or other types of fraud. The challenge is recording all those key words, editing or updating a formula, and managing character limits. The Looping Search App allows you to search in 1, 2, or 3 fields using words or wildcard fragments contained in a second file. Grow your list of key words in Excel, import them into IDEA to capture the most current version, then use them over and over, year to year, file to file. Add words to the Excel list instead of maintaining an extremely long formula. Create a unique list of the words found in a selected field with this time-saving App. All the words will be converted to uppercase and special characters will be removed. The final word list will be ordered based on the frequency of word usage with the most frequently used words appearing at the top. This app utilizes the IDEAScript feature to run tests by simply answering several prompts and simplifies the process of creating a unique list of words found in the field so you can focus on the results rather than the process. Quickly detect potential data errors or red flags that require further investigation with this Benford’s Law test, developed by expert Mark Nigrini. The App calculates the relative size of the largest number in a subset in relation to the next largest number. IDEA’s Control Total provides a single value for a column. The Running Total App adds a cumulative total column to a database, allowing you to see changes in the value as each new row is added to the previous.